“Merlin,” Scott DePue shouted on a September morning at Pilot Mountain State Park. Sure enough, a small, dark raptor with pointed wings shot through the gap that separates Pilot Knob from the Little Pinnacle overlook where we conduct our annual hawk watch. Then, as we watched the bird zoom south toward Winston-Salem, a second Merlin followed the same path only a few seconds behind. The Merlin sightings were particularly thrilling for me. 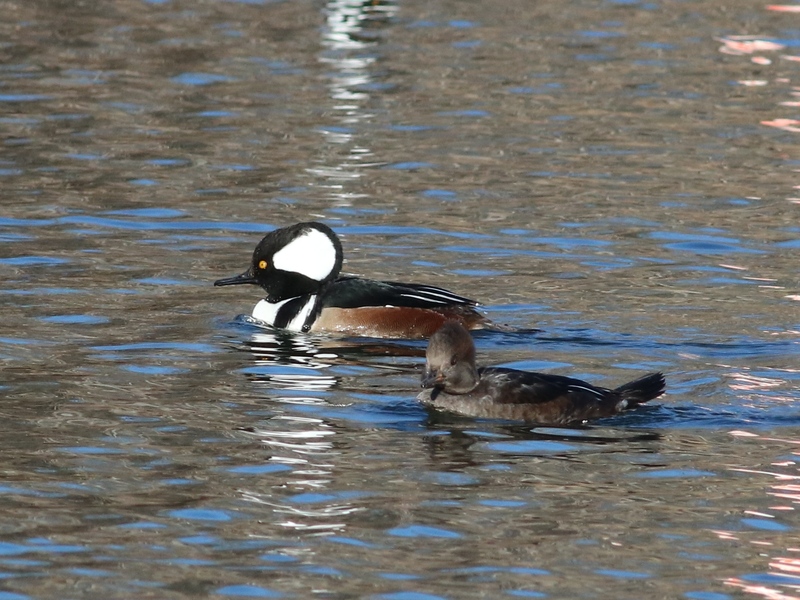 We see very few even at the hawk watch, and three times last year I was looking one way while other observers spotted these birds going another. Seeing two within ten seconds was special. In Forsyth County, Red-tailed, Red-shouldered and Cooper’s Hawks stay all year. 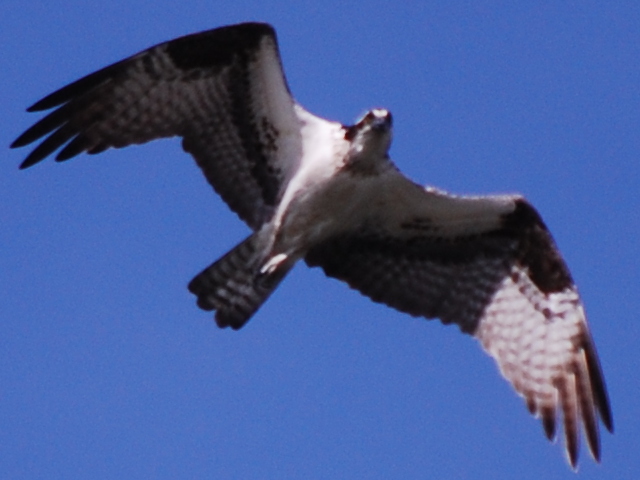 However, many hawks and other raptors that breed to our north migrate to warmer climes in the fall. Most notable in the eastern United States is the Broad-winged Hawk. 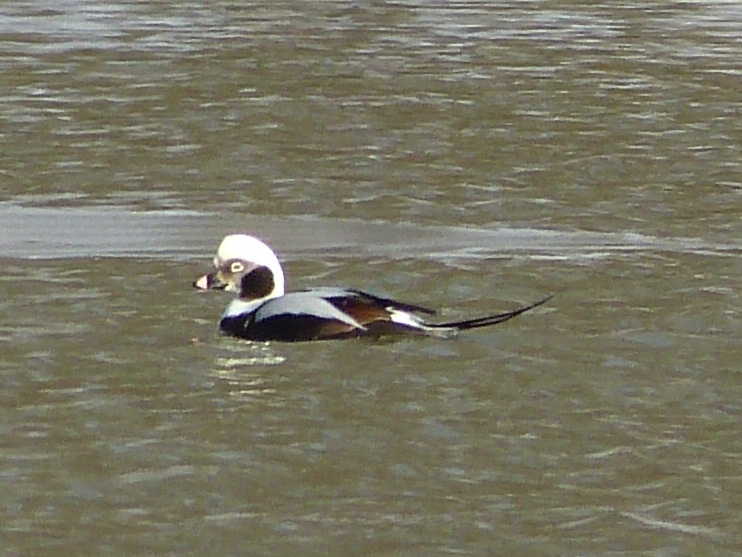 Hundreds of thousands of these birds travel to Central and South America, often in large flocks or “kettles” of dozens, even hundreds, of birds. A large kettle is quite spectacular, as the hawks swirl up on a thermal rising off the ground and then glide out on a high current of air – a very efficient means of travel. 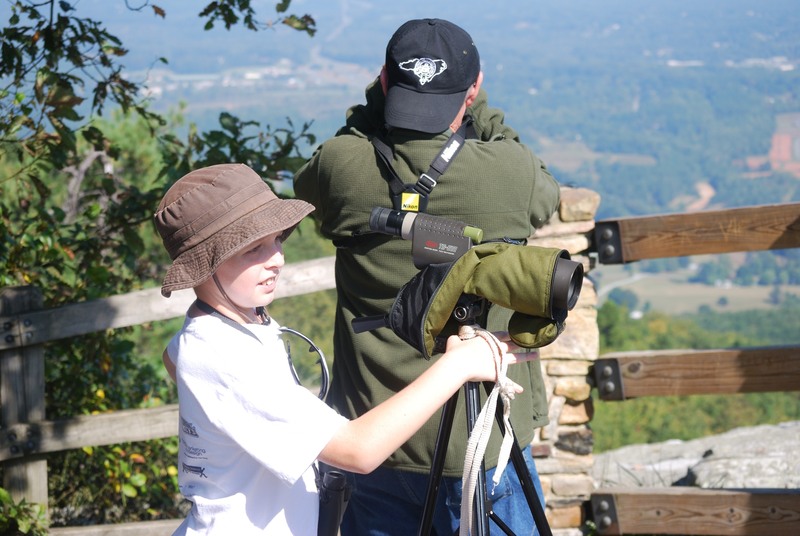 Pilot Mountain has been the site of an annual hawk watch for almost 40 years. In 1973, Ramona Snavely was there in early October and observed several Broad-winged Hawks riding the thermals on their way south. Since then, Pilot Mountain has joined many other watch sites from Canada to Mexico. 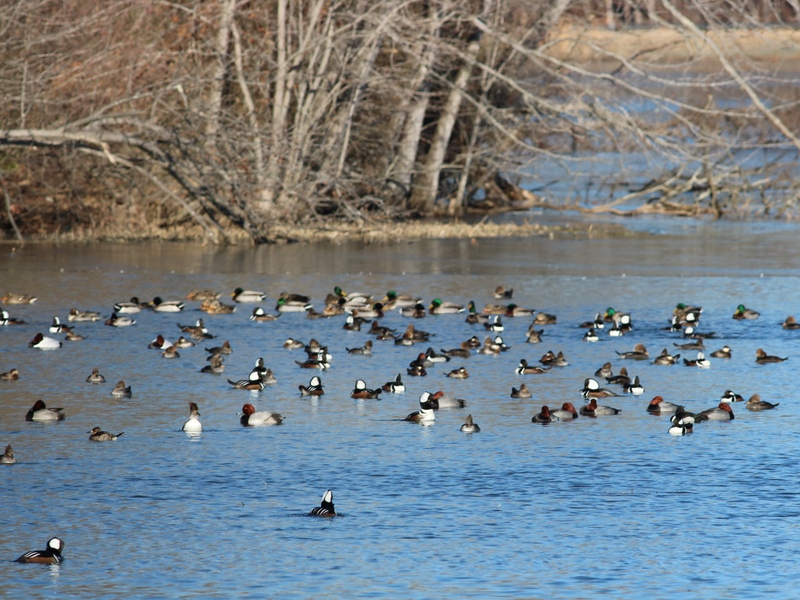 Sites submit collected data to www.hawkcount.org, where they are available for scientific study. 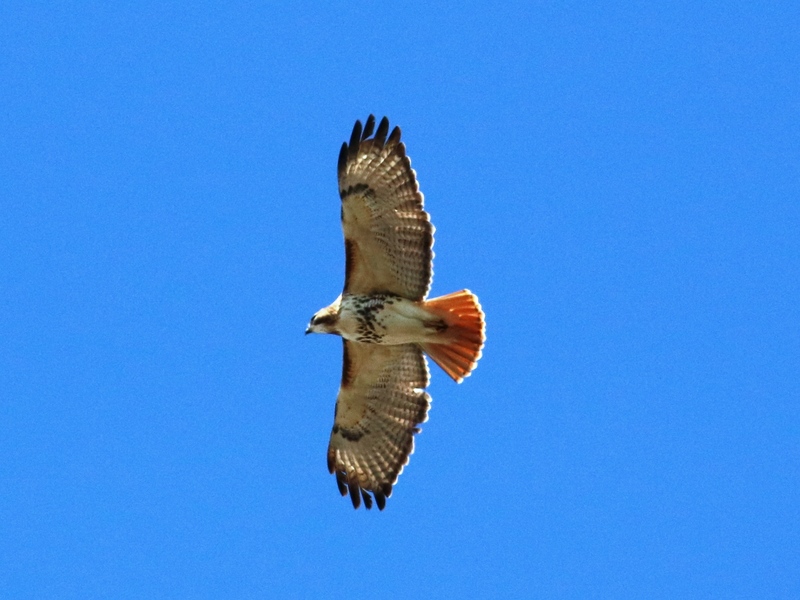 At Pilot, observers can find 13 raptor species. 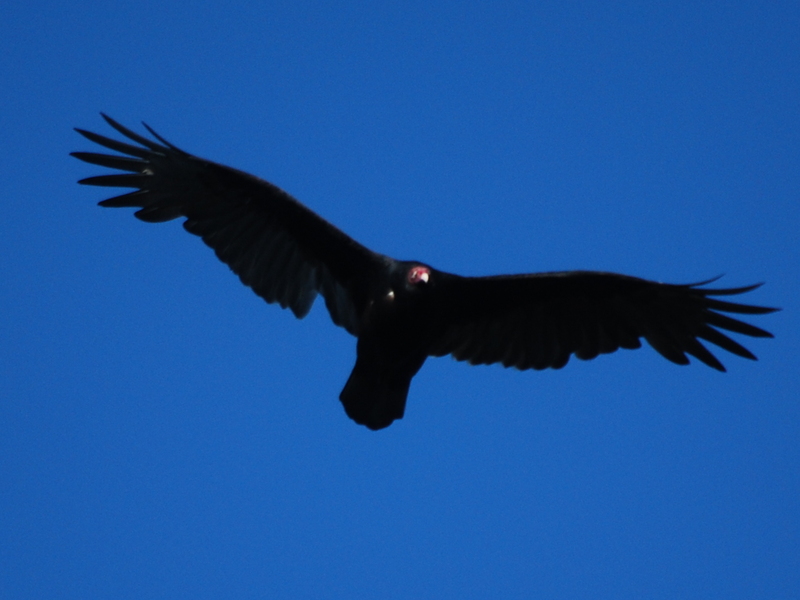 Besides the species already mentioned, we see Bald Eagle, Osprey, Northern Harrier, Sharp-shinned Hawk, American Kestrel, Peregrine Falcon, and both Black and Turkey Vultures. 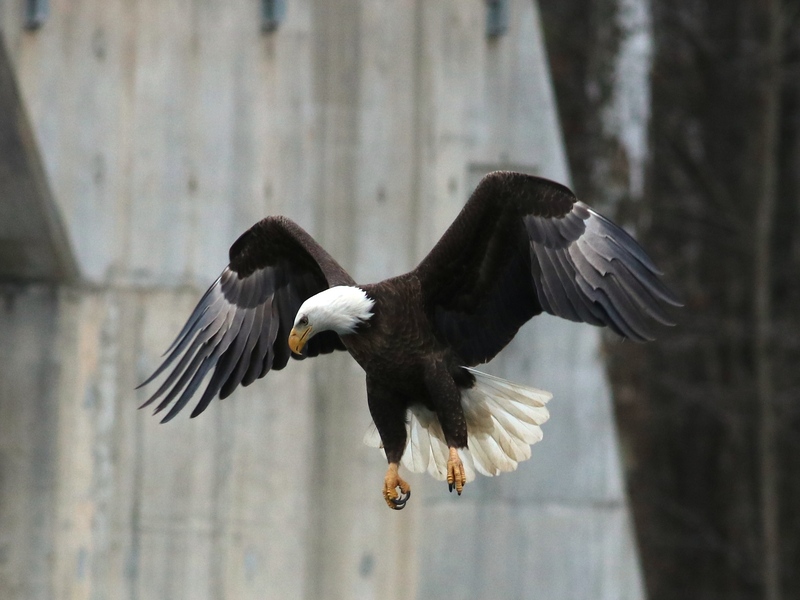 Park visitors often are amazed to hear that we see eagles and, even more so, when they get to see one themselves. We get much satisfaction from talking with the visitors about what we are doing and seeing at the pinnacle. For this veteran, it is always a joy to see the “wow” look of someone seeing their first eagle or a broad-winged kettle. 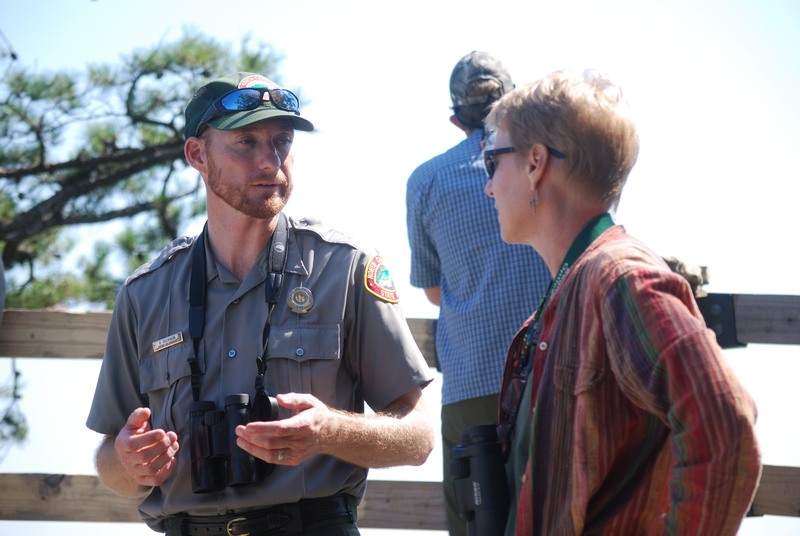 Chuck Smith brought his natural history class from High Point University one day, and State Park Service Ranger Brian Bockhahn brought two groups of rangers and other individuals for a raptor identification class. In 2012, we conducted our hawk watch from September 12-30. During that time, we counted 2592 Broad-winged Hawks. In addition, we observed 30 Osprey, 25 Bald Eagle, 14 Peregrine Falcon, 4 Northern Harrier, plus a few each of the other raptor species. Those two Merlins were the only ones seen. For butterfly enthusiasts, this also is a great place to watch the fall Monarch migration. The 2592 Broad-winged Hawks was the highest tally since 2006. Sunday September 16 was a dream day for hawk watchers, as 1735 passed by, including over 1000 birds kettle after kettle between 3 and 6 p.m. We wrapped up on September 30 with another 632 broad-winged and six eagles. For many years, Toby Gordon was synonymous with the Pilot Mountain Hawk Watch. Every fall, Toby was there most days often alone patiently waiting for those large kettles of birds to come through. These days, Scott DePue is the name that comes to mind. Blessed with extraordinary vision, Scott has been nicknamed “Hubble” after the space telescope by fellow Piedmont Bird Club member Julien McCarthy. 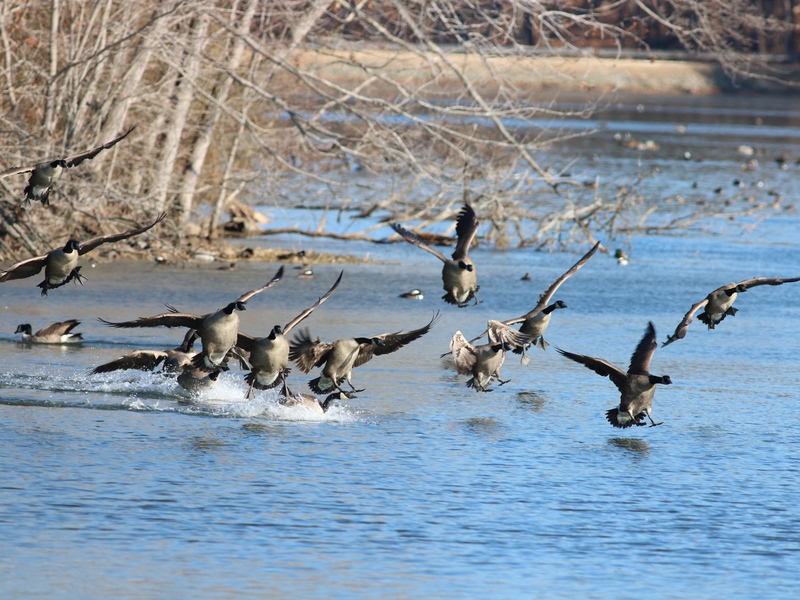 Scott finds “specks” of birds on the horizon that some of us with old eyes never see. More than that, he has excellent raptor ID skills and always is ready to help less experienced birders understand what they are seeing. Thanks to all of the many observers who made this year’s Pilot Mountain count a success. In addition to Scott, I extend a special thank you to Jean Chamberlain and Carol Cunningham for their many shifts as compilers at Hawk Watch and their extra efforts to make sure we did not miss any of those migrating birds. To learn more, visit the Hawk Watch page at our website, www.forsythaudubon.org.